Latest Tweets First Button in Testing: It was a busy week with news of Twitter launching a bot-reporting feature and rumors of CEO Jack Dorsey was looking to kill the “like” button (which probably won’t happen). But what is happening is Twitter is testing a chronological button that allows you to easily toggle between “best tweets first” and “latest tweets first” feeds. Our experience is best tweets improves quality and discovery, but we like the option to choose. Facebook Groups as Therapy: In the current era of Facebook encouraging more friend and group content on their platform, it’s no surprise Facebook Groups are emerging as a gathering place for strangers sharing their deepest secrets and offering advice and counsel to each other. The Atlantic published an in-depth piece on the emotional-support group dynamics across topics like diabetes, addiction, egg donation, parenting children who might grow up to be psychopaths, and even rare diseases that affect only a few dozen patients in the whole world. It’s a long read, but a good one. Level Up is Twitch for Facebook: As Facebook continues to look for ways to compete with video game streaming platform Twitch, this week they expanded their Level Up Program to game streamers worldwide (21 countries!). The Level Up Program helps streamers build a community on Facebook. Streamers that are eligible can earn some extra cash through Facebook Stars — similar to Twitch Bits. Insta Stories Updates this Week: This week Instagram announced they are testing a new ad type called “Promote” for Stories, which is similar to when they opened up Facebook boosted posts to all companies. And you can now you share IGTV videos to your Instagram Story. 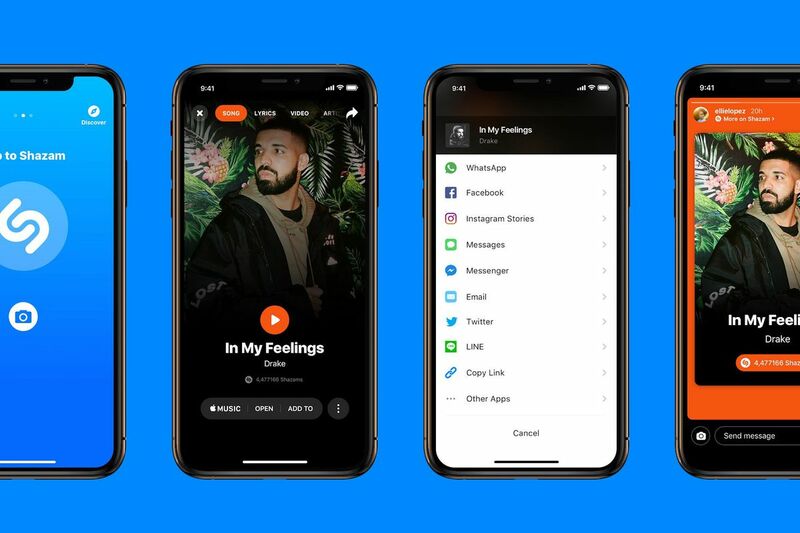 And you can now share songs you Shazam directly to Instagram Stories. 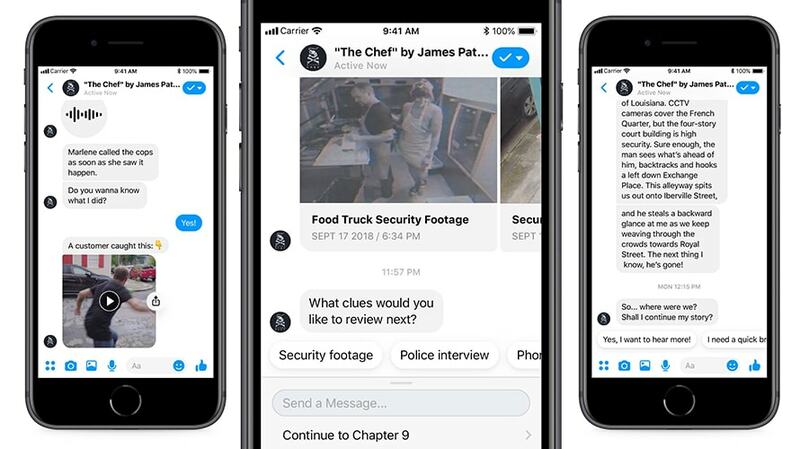 The Next Great Novel – Available via Messenger Bot: James Patterson is partnering with Facebook to bring a “digital novel experience” for The Chef, Patterson’s upcoming novel, which will be published in print in February 2019. Patterson told Adweek, “Ten years ago, if you told me I’d see one of my novels come to life through scrolling chat bubbles, video and audio content, I would have laughed.” You can access the bot by searching for “The Chef by James Patterson” in Messenger’s search bar and tapping on the icon. Check it out! Pssst… What’s Your Password? This is your reminder to update your passwords regularly. Use a password manager to make them strong. And utilize two-factor authentication whenever possible. And if Jimmy Kimmel asks you for your password – don’t give it to him.